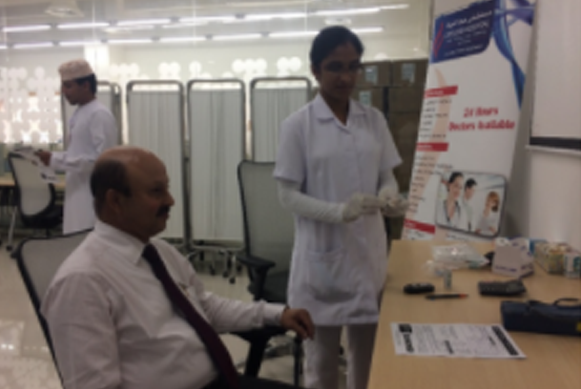 Lifeline Hospital, Salalah â€“ Oman partnered with Ooredoo for a health screening campaign on 5th april 2017, at their office premises in Salalah.As part of the campaign, free health screenings such as blood sugar test, BMI, and blood pressure check were offered to the staff. Dental discount vouchers were also distributed at the event.The campaign was attended by the employees of Ooredoo, Bank Dhofar, Dhofar Insurance Company and Raysut Cement Co. ... Read More..
Lifeline Hospital Salalah partnered with Ministry of Manpower for a health screening campaign on 16th January 2017 at the Office of Directorate General of Manpower, Dhofar region in Salalah for the employees. The management and staff supported the camp with full enthusiasm thus enabling us to reach out to almost the entire employee population. 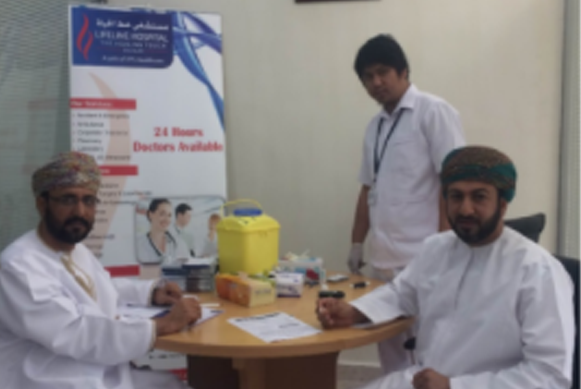 The camp also helped strengthen our relations with the ministry.. ... Read More..
Lifeline Hospital Salalah conducted a Dua function for the re-opening of its new and comprehensive laboratory on 4th of January 2017. ... Read More..